Via a press release, Amazon announced that its Kindle Fire is “sold out.” And, sure enough, if you head to the shopping giant’s site, you can no longer place a direct order for the media tablet. Good thing Jeff Bezos and company have an event scheduled for next week, where they’ll be introducing at least one successor to the Fire. Amazon says the original Fire has “captured 22 percent of tablet sales in the U.S.,” but doesn’t cite the data source for that one. Wonder what Apple and Google have to say about that. 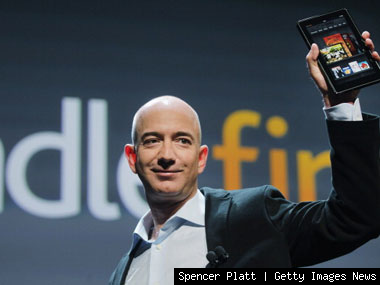 SEATTLE—August 30, 2012—(NASDAQ: AMZN)—Less than one year ago, Amazon introduced Kindle Fire —combining 15 years of innovation into a single, fully-integrated, end-to-end service for customers. Kindle Fire quickly became the most successful product launch in the history of Amazon.com, earning over 10,000 5-star customer reviews, and is the #1 best-selling product across the millions of items available on Amazon since its introduction 48 weeks ago. Today, Amazon announced that Kindle Fire is sold out, and that in just nine months, Kindle Fire has captured 22% of tablet sales in the U.S.